The new bevelled system, is provisionally scheduled for launch to the UK late this year and will sit alongside the German system company’s established Ideal 70 and ecotech Ideal 70 systems. Ian Cocken, Director of Sales and Marketing, aluplast UK, said: “The Ideal 70 and ecotech Ideal 70 are hugely popular fully sculptured systems and deliver some of the very latest innovations in PVC-U technology to the UK market. 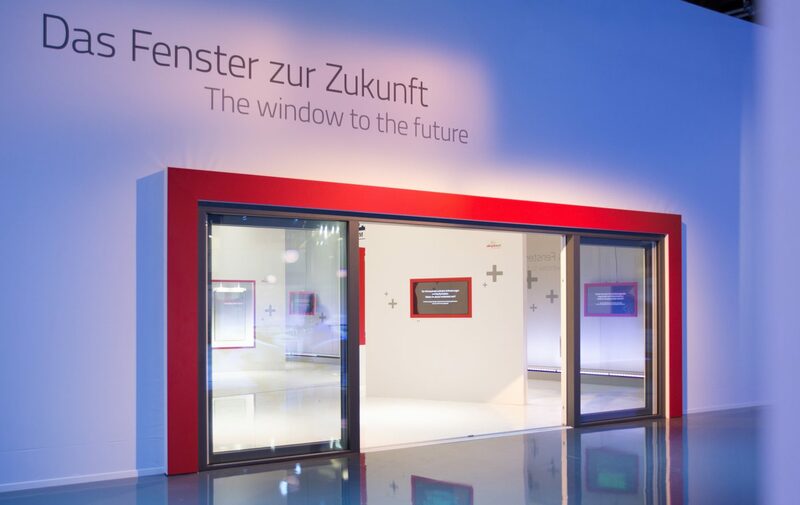 Fensterbau, held at the Nuremberg Exhibition Centre remains a key shop window for the global industry, with 1,400 exhibitors from 39 different countries and over 110,000 visitors. Earlier this month aluplast reported that it had seen a significant jump in its share of the UK systems market with a 25 per cent plus jump in turnover year-on-year. Despite the launch of its new system Ideal 4000 casement, the five-chambered fully sculptured Ideal 70 remains aluplast core offer in the UK. Drawing on aluplast’ global leading research programme, amongst other innovations, it features an optimum 44mm flush triple-glazed beading option, which contributes to up to a WER A++ rating. Fully integrated hardware and appropriate reinforcement, also make it a proven Part Q, PAS24:2012 and Secured by Design system. The ecotech 70 is the systems company’s calcium organic stabilised, ‘green’ offer. Cocken, added: “The fact that we’re going to be launching a third system to the UK market and introduce a totally unique aluminium clad system during 2017 is an indication of just how important aluplast sees it as being as part of its global strategy.